Find and recruit NPCs to your ship, then promote them to the role of ship lieutenant in Assassin's Creed: Odyssey. After you get a ship in Assassin’s Creed: Odyssey, you may find yourself wondering how to recruit ship lieutenants. This is because the process of recruiting ship lieutenants can feel a bit confusing sometimes, especially if you avoid side quests to play through the main story campaign. To help simplify everything, we’ve put together a quick guide on where to recruit ship lieutenants in Assassin’s Creed: Odyssey. You can recruit both friendly and enemy NPCs to join your ship's crew in Assassin's Creed: Odyssey. On of the main ways to recruit ship lieutenants in Assassin’s Creed: Odyssey is by knocking out enemy NPCs. Note that you don't want to deal a killing blow, but rather use stealth and a lower level weapon to knock them out. In doing so, you can then approach their body and press the analog stick to recruit them to your ship’s crew. You can also use Paralyzing Arrows to incapacitate enemy NPCs from a distance if you'd rather not get up close and personal. To try the arrow route, you’ll first need to unlock the Arrow Master skill in the Hunter skill tree. After that, craft a few Paralyzing Arrows and use them on an unwary enemy NPC. Why enemy NPCs? Well, the best ship lieutenants in Assassin’s Creed: Odyssey are comprised of strong enemy NPCs, like those that can be foudn at forts. Of course, the stronger the enemy, the harder they are to recruit hence the Paralyzing Arrow route as opposed to sneaking up behind them. If you're just starting out and are in desperate need of a crew, you can hire friendly NPCs by befriending them (talking to them, completing quests). Then, when they're aboard your ship, you can promote them to the role of ship lieutenant if you're so inclined. To promote one of your crew members to ship lieutenant, open up your inventory menu and locate your “Ship” tab. Here, you’ll spot a section called “Special Lieutenants” where you can view the full list of NPCs you’ve recruited to your ship and the bonuses they provide your ship. Choose one of these NPCs, then select “Hire” to promote them. 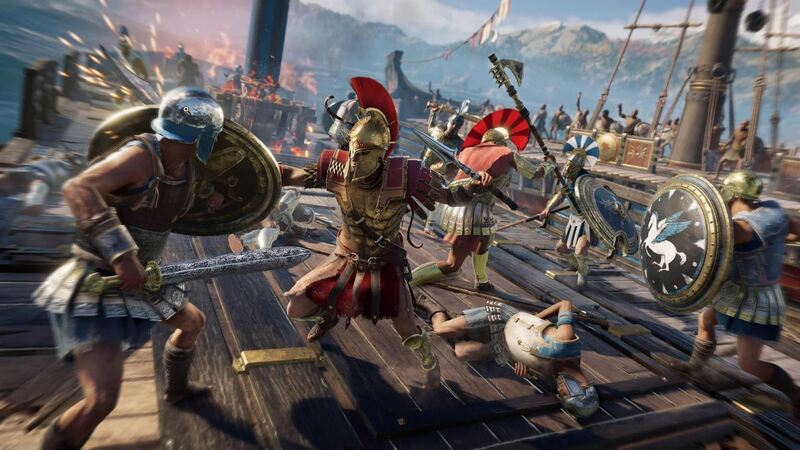 Enemy NPCs typically make the best ship lieutenants in Assassin's Creed: Odyssey. If you find yourself in a position where you’re able to hire several NPCs and don’t actually need all of them, you can use Ikaros to reveal the skillset of a particular NPC. This will help you avoid potentially hiring a weak NPC, or another rower when you’re specifically looking for an archer. When just starting out, you only have one ship lieutenant slot to fill. Later when you upgrade your Hull you can add more ship lieutenants, but to start off having one is perfectly fine, especially if they're Epic or Legendary. What does this mean? Well, there are different rarities for ship lieutenants including Common, Rare, Epic, and Legendary. The higher the rarity of your ship lieutenant, the better their bonus attributes are. Were you able to hire a ship lieutenant in Assassin's Creed: Odyssey? If so, share a pic with us down below! 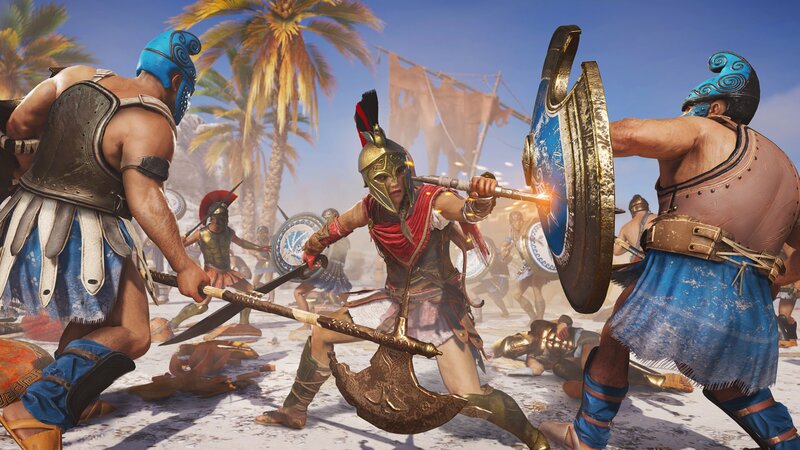 For more on Assassin’s Creed: Odyssey, be sure to check out some of our previous guides including how to craft arrows in Assassin’s Creed: Odyssey, how to upgrade the Spear of Leonidas in Assassin’s Creed: Odyssey, and how to get olive wood in Assassin’s Creed: Odyssey. By reading through this guide, you should now know where to recruit ship lieutenants in Assassin’s Creed: Odyssey.